When it comes to gambling online, naturally we are all about blackjack, but even the most devoted fans of 21 could do with a break once in awhile to keep things interesting. If you want to take five between blackjack hands and could do with some light-hearted, entertaining game play, here’s the run down on how online pokies work, how to play them and the best games to play. 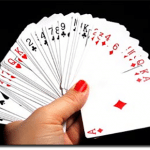 If you’ve been playing blackjack online you’ve probably noticed that the best blackjack sites also offer an extensive collection of virtual pokies. Perhaps you’ve chucked a couple of bucks into a pokie machine at the pub one night or tried your luck at a land based casino and decided it’s not the game for you, but playing online pokies is an entirely new experience. Virtual games have the ability to engage and enthral on a much higher level than a real life casino, using some of the most spectacular animation and high-def graphic software akin to console video games or animated films. 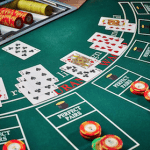 Along with being safe and reputable sites for playing blackjack, the following casinos offer a fabulous range of real money pokies. These venues all cater to a diverse range of player locations and offer a range of secure deposit options with deposit methods including Visa, MasterCard, POLi, Skrill, Neteller, Paysafecard, Flexepin and direct bank transfers. Guts Casino – Guts offers one of our favourite collections of pokies you’ll find anywhere on the Net, with slots from the best gaming creators from across the globe. All Slots Casino – the name says it all, here you’ll find slots, slots and more slots! All Slots offers a collection of games from leading software providers with an endless stream of awesome promos up for grabs. Each of these casinos runs in browser mode, which means no downloads are required to access the huge range of pokies and blackjack games on offer. Simply connect to the Internet on your PC, laptop, smartphone or tablet and click the links above to start your online pokies experience today. Playing the pokies seems as simple as pressing a button and watching the reels spin, and while this is true, novice players should be aware that there are actually several different types of online pokies. 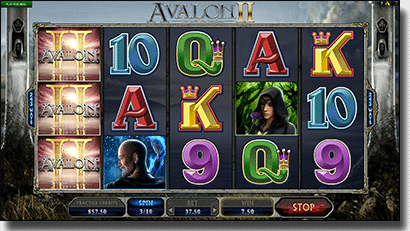 Classic slots – compared to visually advanced video pokies, these games use inferior graphics but are more resemblant of the traditional fruit machine, typically using the original three reel format where winnings can appear on a single pay line. Classic pokies are perfect for those who like no-frills games that tip their hat to a simpler era in gaming, using nostalgic symbols like liberty bells and cherries. Multi pay line pokies – the majority of online pokies are multi pay line games, which means unlike classic slots, winning symbols can appear on a range of different line combinations. 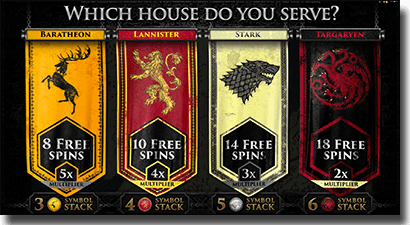 Multi pay line games bring more ways to win, with some games allowing more than one winning combination per spin. Progressive jackpot pokies – progressive jackpot pokies are games where the winning jackpot increases every time the game is played and continues to grow until the jackpot is won. Progressive jackpots have been known to grow into the multi-millions with popular PJPs like Mega Moolah, Mega Fortune, Major Millions, Arabian Nights and The Dark Knight producing some life changing wins. Just like when playing a hand in blackjack, there are minimum and maximum betting requirements when playing online pokies. Unlike blackjack, the wagering limitations are a bit more fluid, with minimum bets starting as low as a cent and reaching all the way up to $300 for a single spin. Placing the minimum bet is ideal for players with smaller bank rolls or for the more recreational players who just want to make their money last longer, while some games do require the maximum bet be placed in order for a spin to quality for a jackpot win. The minimum and maximum bets vary hugely from game to game, so if you’re still unsure once the game loads a quick check of the games help or rules section will straighten it out for you. When placing real money bets it’s important to remember that unlike the strategic, sophisticated game of 21, winning on the pokies relies purely on luck and there’s nothing you can do to alter the result of a spin, so make sure to gamble responsibly and never bet more than you stand to lose. There are literally hundreds of online pokies games available at our recommended casinos, operated by some of the best software developers in the world, including Microgaming, Net Entertainment, BetSoft, NextGen Gaming and Play’n Go. If you’ve never played pokies on the Internet before we’ve compiled a list of some of the most universally popular titles as a starting point, with superior graphics and game features to ensure you experience the finest that online slots have to offer. 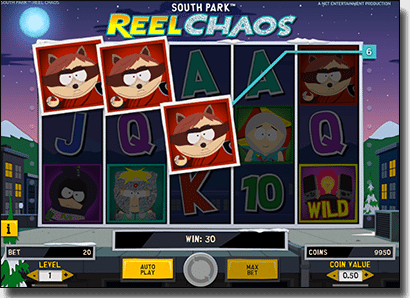 These games can be found at the casinos mentioned above, allowing free play in demo mode so you can get a hang of things before even having to place a real money pokies bet. Most leading online casinos offer welcome bonuses for new players, typically in the form of matched deposits, but they often come with free spins on selected pokies. So while you may want to use your deposit bonuses towards playing blackjack, using free spins granted through sign-up bonuses is the perfect chance to try playing online pokies for real money without having to dip into your own wallet. 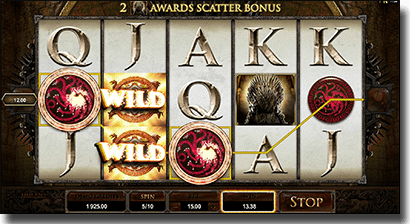 Sign up for an account at Jackpot City to play high-quality online pokies games from top-notch software developers, and take advantage of generous real money player bonuses upon registration.